Over the last 125 years, we have established ourselves as an industry leader in many different areas. This is due to the quality of our people and the passion they bring to work every day. Having this “tool in our box” is what sets us apart from our competitors. Mark Ourada is group vice president of foodservice at Hormel Foods. In this position, he is responsible for the sales and marketing of foodservice products within the United States. 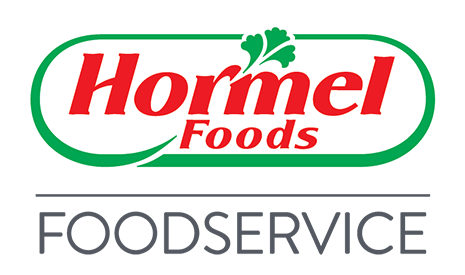 Ourada began his career at Hormel Foods in 1988 as a relief sales and merchandiser in Minneapolis, and was promoted to sales representative and territory manager the same year. A year later, he became a foodservice sales representative in San Antonio, Texas. In 1993, he became the foodservice account manager in Denver and in 1995, was promoted to foodservice account executive. In 1998, he moved back to Minneapolis as a foodservice area manager and in 2001, advanced to area manager, foodservice sales in Cincinnati and became the regional sales manager there in 2005. He assumed the role of vice president of foodservice sales in October 2013 and assumed his current role in 2018. Ourada is a graduate of the University of Wisconsin-La Crosse, where he received a bachelor of science degree in marketing. He completed the executive development program at the Kellogg School of Management, Northwestern University in 2016.